There is no other motor sport company that comes with a rich history and higher respect then Porsche. Decades of signature design and engineering Porsche has won over 28,000 championship internationally and has held many world records in racing. Porsche motorsport race team performs at the highest level and with such passion. 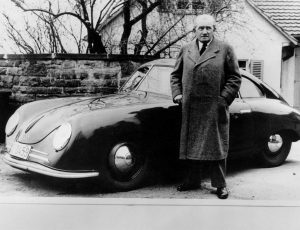 Porsche was founded by Ferdinand Porsche, he was a German designer and engineer. He was mostly responsible for the Volkswagen Beetle automobile and in his time also was a race driver. He built the world’s first electric hybrid car in 1899, from the early beginning through to the 21st century started in racing history after post war Germany. They developed the first roadster for racing with a 356 Coupe. Their winnings began this continual momentum which drove the company forward and to commit to motor sports racing. Since then Porsche has achieve its champion ranking through talented race drivers such as Mark Webber he won the Championships in 2015 in the FIA World Endurance Championship. Porsche move towards the future with new technologies, which has made this company be on top. What comes with Porsche racing is the key performance for services. Porsche not only covers a market in motorsports racing, but they also are known for personal private top of the line high performance vehicles. Porsche also provides experienced genuine vehicle services and advice. Service centers for Porsche have certified technicians that are trained to work only with Porsche vehicles, because now the increase in technological complexity of Porsche requires highly skilled technicians. Routine maintenance and part replacements is best recommended through Porsche Service centers and repairs.